Brenda Shaughnessy’s witty, moving, fiery new collection, So Much Synth (Copper Canyon Press, 2016), takes us into the past. In its longest poem, “Is There Something I Should Know?”, Shaughnessy remembers a world of Simple Minds and Duran Duran songs, where she finds a young woman haunted by the changes in her body, caught in “pubescence’s acrid synthesis”, betrayed by her own functions and the silence of others (“No one discussed it or acknowledged it / even though we ALL READ THE JUDY BLUME”). 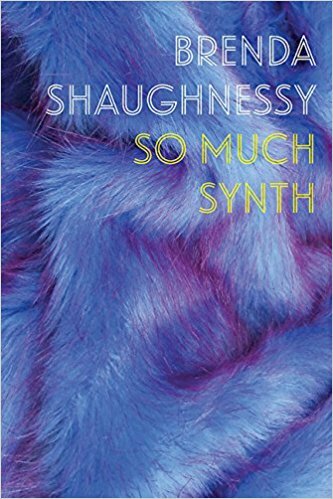 Shaughnessy’s previous work includes Our Andromeda (2012), which was a finalist for the Kingsley Tufts Award, The International Griffin Prize, and the PEN Open Book Award. 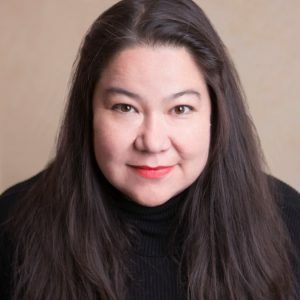 Her work has also appeared in Best American Poetry, Harper’s, The New York Times, The New Yorker, O Magazine, The Paris Review, Poetry Magazine, and elsewhere. Brenda Shaughnessy will appear alongside Tony Tulathimutte, Travon Free, and Ana Marie Cox at our next Seriously Entertaining show, The End My Friend, at Joe’s Pub at The Public Theater on April 6. Buy tickets here. Where are you from? Born in Okinawa, Japan. Raised in Southern California. What is your occupation? Professor at Rutgers-Newark. Title of most recent work: So Much Synth. What are you working on now? Mentoring our future poets. If you had to paint a scene from your childhood to capture its essence, what would you paint? Getting stuck in a tree I’d climbed at the park. What’s your earliest memory of literature? Acquiring an unabridged and too-old-for-me version of Anna Sewell’s Black Beauty, and feeling terrified and proud. It was my first non-“kids’ book” with no pictures, small print, thick. What are you reading right now? Donika Kelly’s Bestiary, Octavia Butler’s Parable of the Talents, Kiese Laymon’s Long Division, Aldous Huxley’s Brave New World, and Julie Schumacher’s Dear Committee Members. What was the last great film you saw? Moonlight. What are your go-to quotes? “The goal is not to make sense of, but art of this story. The goal is not to make a story but to experience the whole mess. There are mental sufferings and physical sufferings to go through; to apprehend if one can. There are the spent casings of history to sift through, pick up and examine. Calm-like, hysterical, forensic. This life is not just a worn passage.” C.D. Wright. Who, in music, strikes deepest in the soul? Nina Simone, Simon and Garfunkel, Prince, Philip Glass, Joni Mitchell. What are your preferred writing materials? Pen and thin-lined, large notebook. What’s your favorite font? Cochin. What’s the loveliest book that you own? Dorothea Tanning’s large, hard-to-find retrospective book. Where would we find your favorite bookstore? Current favorite bookstore is Prairie Lights in Iowa City.